Dubai is the fastest-growing country in the world. Located at the crossroads of Europe, Asia, Africa, and the Middle East, it is becoming the premier tourist destination of the region. It has also established itself as a major business center with hundreds of large, multi-national companies setting up regional offices. Now individual investors can be a part of Dubai's economic growth by investing in condo hotels. Purchase a condo in a five-star hotel and receive a portion of the revenue it generates. 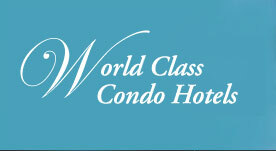 Learn more at www.CondoHotelsDubai.com. The Dominican Republic welcomes international investors. 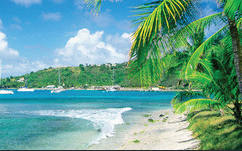 This beautiful tropical island offers luxurious second homes on the beach at prices you can afford. See property listings, photos and prices here. You can also read a detailed interview on copywriting with Susan Greene here, http://www.susangreenecopywriter.com/articles/interview.html. Want to know what's going on in the world of condo hotels? Want to keep up with the latest news and happenings in this fast-paced industry? Check out the Condo Hotel Blog written and maintained by Condo Hotel Center, the leading seller of condo hotels in the world.